The Answer to Many Healthcare Questions is "Follow the Money"
There are any number of aspects of getting good healthcare that confound us patients. Many of those mysteries can be answered by the simple statement, "follow the money." Because American healthcare is set up in a mostly consumer model, there are many aspects that function as profit centers, or at least attempt to be profit-making, even if we don't think of them in that way. The first goal of any business is to make a profit; that's how it stays in business. This is a fairly easy concept when it comes to health insurance companies. We know and accept that they are profit-seeking. Corporate health insurance companies are beholden to their stockholders first and foremost. We, their customers, purchase their insurance products to help them be profitable. Of course, pharmaceutical companies, or medical device manufacturers are businesses seeking profits, too. Like health insurers, these companies thrive in a capitalistic environment by selling their products to the people who need them. What many patients fail to realize is that doctors' practices, hospitals, pharmacies, testing centers, dental, hearing and vision centers -- these are all businesses, too. They, too, must focus on income and profits to stay open. Granted, some are considered to be "non-profit organizations." You will find, however, that many are non-profit in name only. This is true for non-profit health insurers, hospitals and other facilities, even many of the charities that raise money for health-related causes. In some cases, their top employees may earn salaries in the millions, and their advertising budgets rival those of any consumer business. By the end of the year, they have to show they've spent as much as they have earned; that's what makes them non-profit. It does not mean they intend to lose money. That is not to say that money-making and money-raising is a bad thing. Many are good, solid organizations, and if they didn't have those highly paid personnel, they might not be as effective as they are. But we need to remember that when it comes to healthcare in America, the pursuit or retention of the dollar is too often more important than an individual's health. 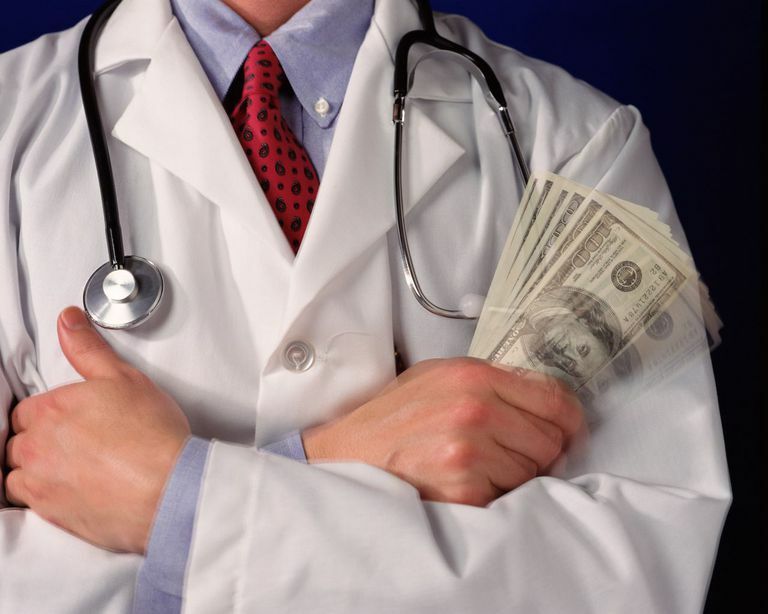 From rationing to frustration, it raises many questions on the parts of patients that can only be explained by that phrase, "follow the money." Now add to all these examples the millions of websites that want to sell us health-related products or services. You can see how far-reaching the profit or income-focus of healthcare is. Finally, don't forget that time is money. This adage reminds us that when it comes to business, when someone spends time with us, then it is costing him, and ultimately us, money. The busier someone is, the more his time is worth, too. Here are some questions I hear from patients. Choose any of the questions for a further explanation of how "follow the money" is at the heart of the answer. Why do I wait so long to see the doctor during an appointment? Why does my doctor always seem to be in such a hurry? Why does my doctor send me for so many tests? Why don't some doctors accept my insurance? What is boutique medicine or a concierge practice? I'm healthy. So why do my insurance premiums increase each year? Why won't my insurance cover the doctors I want to see? Why can't I believe everything I read on the Internet about treatment or prevention? Why doesn't my doctor let me share Internet information with her? Why do we have to be cautious about the outcomes of medical studies?